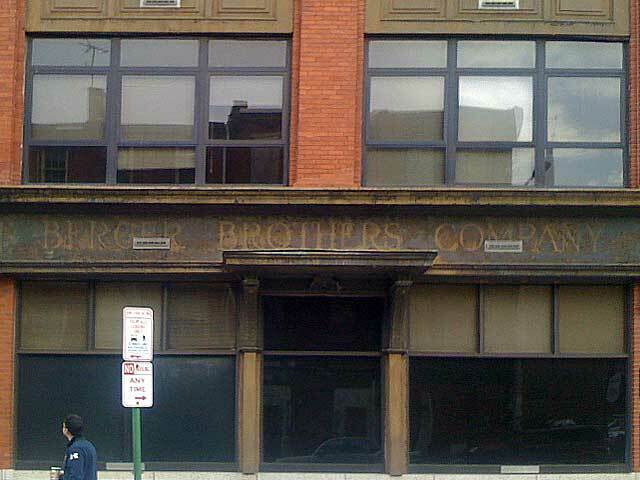 The origins of Berger Bros may be traced to the late 1800s. William H. Berger was born in Milton, Pennsylvania, in 1841. 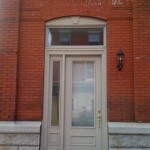 He learned carpentry before joining the Union Army during the Civil War. 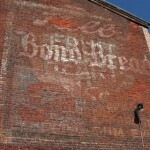 After the war, Berger moved to Philadelphia and in 1874 he founded William Berger & Company, manufacturers of tinners’ and roofers’ supplies such as copper, aluminum and steel gutter. 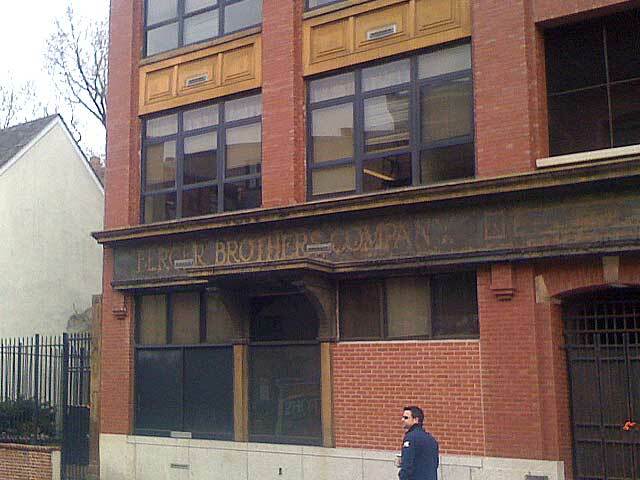 Soon after he was joined by his brother, and the company name was changed to Berger Bros Company. The company grew steadily, and became one of the largest of its kind in the United States. It is still in business today, operating outside the city limits in Feasterville. 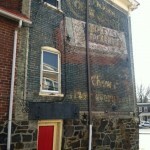 Older, painted brick signage. Taken 1929. An early location of the business seems to have been immediately adjacent to the Betsy Ross House, in a building now demolished. First image taken 1929, next two, dates unknown. 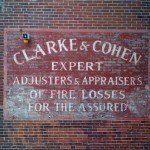 Sign on larger building, with dimensional lettering in place. Taken 1959. 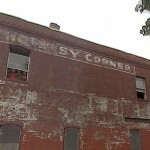 The larger building next door to the earlier location still retains the ghost outline of lettering left after dimensional tin letters were removed. 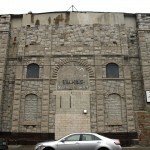 Philadelphia Department of Records. 23 February 2012.